The orals requirement helps the government assess teams using criteria that is not in the written proposal. Key criteria such as real-time leadership skills, the project team's understanding of the proposal, communication skills, and more. 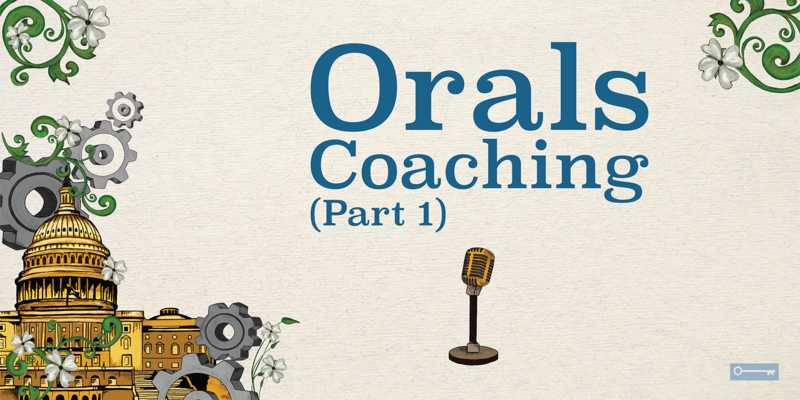 In part 2 of our orals coaching segment, we share how to score higher with evaluators across the 5Cs: Compliance, Content, Credibility, Chemistry, and Clarity. Ray Thibodeaux: Welcome to Keys to Winning, a podcast where we talk about government contracting topics such as proposal development, business development, win strategies, and more. Ray Thibodeaux. : Keys to Winning, produced by AOC Key Solutions, a leading bid and proposal development firm, gives you a chance to learn from leaders and experts in their fields. I'm Raymond Thibodeaux, today's host of Keys to Winning. Ray Thibodeaux. : The last time we talked, we really didn't have enough time to go into what makes a successful orals presentation. And that's really what the focus of this podcast is today. The five Cs: what are they, and maybe give us a brief explanation of why they're important. Sara Freeman: Sure. The five Cs is something that, well, I actually learned four Cs from my mentor, Jim McCarthy. But I added a fifth one, just from my own experience. Sara Freeman: The five Cs related to the orals presentation training are Compliance, Content, Credibility, Chemistry, and Clarity. Ray Thibodeaux: Okay. Good. I like it that there are five. It's easy to remember. Maybe next what we would do is unpack those as we go along. For example, what do we talk about when we talk about compliance, in terms of oral presentations? As opposed to written submittals? Sara Freeman: You have to do what the RFP instructs you to do. If the instructions say they want the president and the CEO to speak for 30 minutes, you make sure he or she speaks for 30 minutes, or even a few minutes less than that. You should build in a three-to-five-minute contingency when you are heard; so prepare a presentation that's really 25 minutes in length, to leave a little wiggle room at the end. Sara Freeman: This is important because your customer is assessing whether or not you can follow simple instructions. If you can't get the small stuff right, how can they trust you with their million-dollar contract? Sara Freeman: The RFP also should instruct you on what's allowed and what is not allowed in the room during the oral presentation. I call it Game Day. Sara Freeman: If it does not list acceptable items, then I would instruct my team to ask the government a question about that. You don't want to walk in with your own projector and screen and 10 copies of your proposal, only to have them say, "You have to leave it all in the hallway." Sara Freeman: Finally, you don't want to introduce new information that you did not include in the technical proposal. Or even worse, contradict anything you stated in your proposal. You'll appear unorganized, and that'll send up red flags to the evaluation team. Sara Freeman: This is why I always carve out time for my team to study the proposal during oral presentation training, because it's so important to know the proposal inside and out, at least an hour a day, depending on the length of the proposal, and how much time we have to prepare. Ray Thibodeaux: That brings me to the question that I wanted to ask about, the compliance. In terms of the solution and the organization, et cetera, does the proposal trump anything said in orals presentation? Sara Freeman: Usually, yes. That will be specified in the solicitation. Usually, whatever is written will trump whatever is spoken during the oral presentation. Yes. Ray Thibodeaux: Okay. When we talk about the other C, Content. Could you describe that? Sara Freeman: Content is how to get the desired reaction of "We can really rely on these people," and strike a chord with the evaluators. Give them compelling reasons to select your team, and use memorable graphics and charts to enhance your message. Sara Freeman: You should believe in your message and establish themes that relate to your customers' concerns. Hopefully, those are the same themes that you hit home in the proposal. Ray Thibodeaux: It seems that content is a way to establish what comes up as number three, Credibility. What do we mean by credibility in this context? Sara Freeman: Sure. Credibility is basically demonstrating a complete understanding of the requirements, and a complete understanding of your solution, that is hopefully explained very well in your proposal. Sara Freeman: This is why it's so important to set aside a few hours a day to study the proposal. 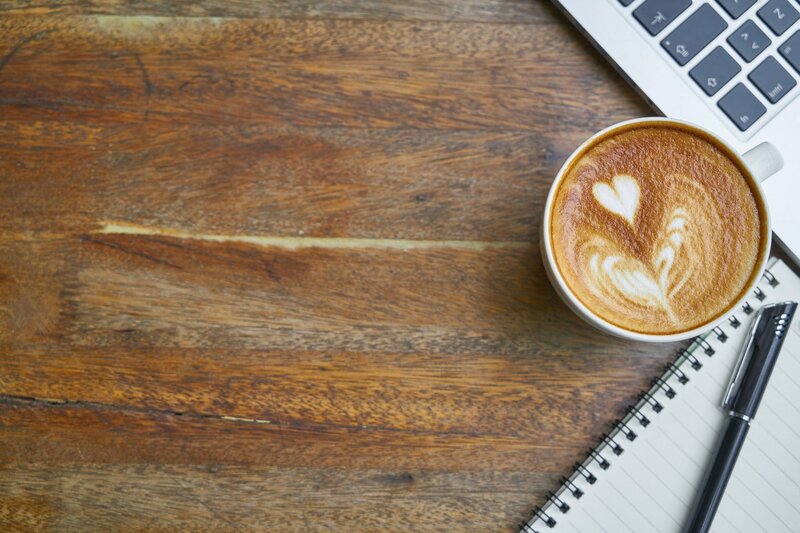 Since oftentimes the key personnel who are usually the required presenters, they have very little or no involvement at all in the proposal writing process. Sara Freeman: Companies usually have a separate proposal writing staff, or they hire companies like KSI to come in and write the proposals for them. Key personnel very rarely play a big role in the proposal writing process. So they need to get familiar with what's in the proposal, absolutely. Sara Freeman: Credibility also means demonstrating proof and validators that you've done this before, and you've been successful. Which hopefully you can pull right from the past performance volume, or your key personnel resumes that are included in the proposal. Ray Thibodeaux: Interesting. I have to ask, how much time do speakers generally have to establish credibility, or convey their content? Sara Freeman: That's always spelled out in the solicitation. They'll give you a certain time frame. You can get a 30-minute presentation where you have to explain the features and benefits of your technical approach. Sara Freeman: You always start with the program manager or the CEO or whoever the lead is. They should always be the one to open, because they need to demonstrate their leadership skills. That's really what's on display during an oral presentation. Sara Freeman: So it is key that you put the program manager first. Then separate out all the other key personnel, depending on how many there are, and how much time you have. Ray Thibodeaux: Of the three Cs that we've talked about so far ... Compliance, Content, and Credibility ... the fourth one, Chemistry, seems to be a little more nuanced, and probably harder for evaluators to score, since it's more subjective. The fourth C is different from the others. Sara Freeman: Chemistry is the only C that does not also apply to the written proposal. Because you can't create chemistry in a written document. You use the time you have during an oral presentation to appear as a team, a well-oiled machine. You're having fun because you're doing what you love. And you're very good at it. You appear easy to work with, well organized, relaxed, and likable. Sara Freeman: I cannot stress the importance of likability enough. Because nobody wants to work with a condescending, rude, or argumentative group of people. Again, I'll mention the importance of both verbal and nonverbal communication techniques. Sara Freeman: This means not talking over each other, yelling at teammates, being disrespectful or sarcastic, someone other than the CEO or program manager appears to be in charge. These are all things to avoid. You have to make a connection with the audience, and then maintain it all day long. That's what chemistry is. Ray Thibodeaux: That brings us back to something we had talked about in our first interview, where we had discussed the ways nonverbal communication could have an impact on your orals presentation, and on the evaluators' judgment of it. Are there ways that a team can convey that they have that chemistry, even though they may or may not have worked together before? Sara Freeman: Absolutely. There are many nonverbal ways. The way you're positioned, really, even the way you are seated in the room, has an impact. How you appear when you're sitting down at a table when you're not presenting. Sara Freeman: Are you paying attention? Are you fidgety? Are your eyes locked on the presenter? Because they should be. It's a sign of respect, and also that you're a team player. You're involved; you care about what the presenter is saying. Sara Freeman: I also teach cues where you pass on the baton, if you will, to the next presenter, so there's connectors. There are right ways and wrong ways, really, to go from one person direct to the next, to make it flow. Ray Thibodeaux: Is it fairly obvious to an evaluation panel when the team is not really connecting? Sara Freeman: Yes, I think it is. Usually, the evaluation panel doesn't give you any clues to how they're feeling about the day. But if they seem uninterested, they're not making a lot of eye contact with you, they're writing something down, or they're on their phone. Sara Freeman: Sometimes they even get up and leave as a distraction, intentional distraction, to see how well you do when things aren't going exactly the way they should be going. Ray Thibodeaux: Interesting. I can see why you refer to it as Game Day. Sara Freeman: Yes. You have to be prepared for anything. I've had teams tell me that the program manager or the CEO was asked to leave the room; then they were evaluated to see how they functioned as a team without their leader. That has happened on more than one occasion. You really have to be prepared for anything, and that's why I train for anything. Ray Thibodeaux: The last C that we have is Clarity. Let's talk about that. Sara Freeman: Clarity is the simpler the message, the better. Don't use jargon or a ton of acronyms, because the evaluation committee may not know what you're talking about. And then they'll tune you out. Sara Freeman: Clearly state the reasons why your team should be selected. Don't talk too fast. Evaluators aren't going to give someone they can't understand a very high score. Explain how you're the lowest risk choice. Clearly state why. What benefits will you and your solution provide them? Sara Freeman: Remember that you're not just delivering; you're selling your technical and management approach to a government need. You are in fact salespeople at this time. Sara Freeman: This leads me to talking about why an oral presentation is needed at all. If everything they want to know is in the book. There are several things that the government cannot assess from a proposal. Things like real-time leadership skills, management skills, change management skills. Each key person's understanding of what they would be responsible for. Also their communication skills, both with members of the team, and also with the customer. Ray Thibodeaux: That brings me to something that we had talked about. That's the idea of the proposal as a sales document. Ray Thibodeaux: As a sales document, there are certain devices that people use, things like win themes, discriminators, feature/benefit tables, and other elements. To, in a way, have this commonality throughout the proposal, throughout the volumes of the proposal. Ray Thibodeaux: In the oral presentation, is there that same capability, that reinforces what makes your team the best option? Sara Freeman: Yes, they do. Depending on what kind of oral presentation you're asked to do. Usually there's a PowerPoint presentation, if you will, where you have to go over your technical approach and the benefits to the government. Sara Freeman: On every slide, you should have a callout box, something along the bottom that describes the key point that you're trying to hit home on that particular slide. Those usually include your discriminators, your win themes. Sara Freeman: Even if it's an interview session, you can recite repeatedly what your win themes and discriminators are, depending on the questions they ask. You can also weave them in if you're given a sample problem. Sara Freeman: Actually, the way I teach, there's a section that's built in so that you can tell them, again, the benefits that your approach will give them. It's all built in with how I train for a sample problem. So absolutely, you should touch on them, all parts of the day. Yes. Ray Thibodeaux: And that's as good a place as any to leave off. Sara, thank you for being on the podcast. Sara Freeman: Well, thank you for having me, Ray. I appreciate it. Ray Thibodeaux: And we'll close there. I'm Raymond Thibodeaux, and this has been Keys to Winning from AOC Key Solutions Incorporated for KSI: a consulting firm that has helped companies across the country win billions of dollars in federal contracts. Learn more at www.aockeysolutions.com. Or follow us on LinkedIn. Ray Thibodeaux: Be sure to subscribe for more podcasts in this series, and thank you for listening.